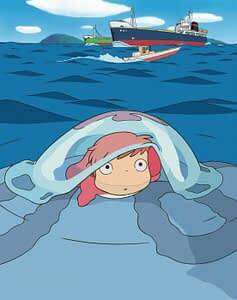 The creator of the likes of Spirited Away, Howl’s Moving Castle and Princess Mononoke is coming to the San Diego Comic Con this year, his first visit, with clips from the American-dubbed version of last year’s Japanese blockbuster Ponyo On The Cliff By The Sea. It’s not known if voiceovers from the film Kate Blanchett, Matt Damon and Tina Fey will be attending but come on, for most of Con it’ll be Miyasaki that’ll be the main draw. I might have to start queueing the day before.